Making hot rods a pleasure to live with. 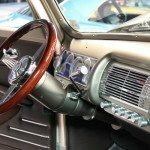 If you aspire to own or build a great hot rod, especially a street rod, never take the positioning of a steering column for granted. Variations in cockpit and seat dimensions, particularly seat height, as well as steering wheel design and human proportions play an important role. This 8-position multi-angle tilt column allows the steering wheel to arch through 35 degrees—fifteen degrees of movement above center and 20 degrees below. 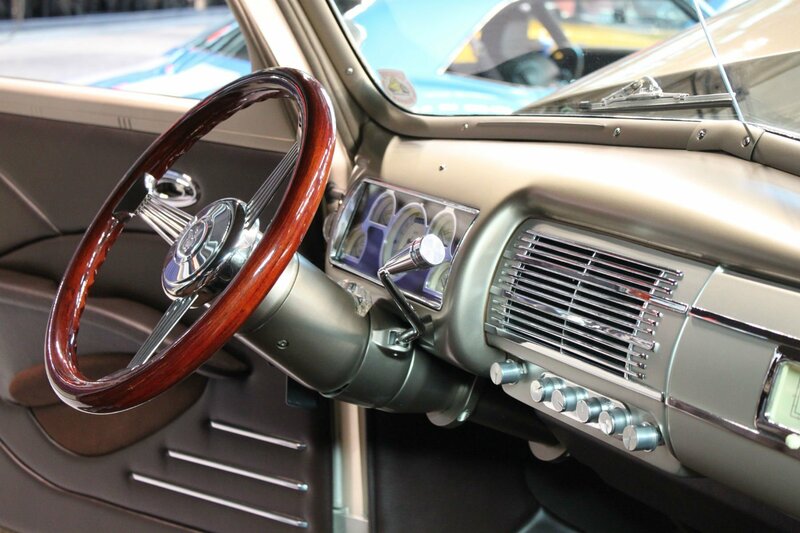 Mounting the gear shift on the column evokes the charms of former times; it also promotes free space for fore-and-aft movement of a full-width bench seat. However enticing the photographs of a machine may be, it is almost impossible to discover if it qualifies on all these counts unless you sit in the vehicle and test it for yourself. Exact steering column location is indispensable. This compression spring locks the tilt mechanism in one of eight positions, which increases or decreases the space between you and the steering wheel. 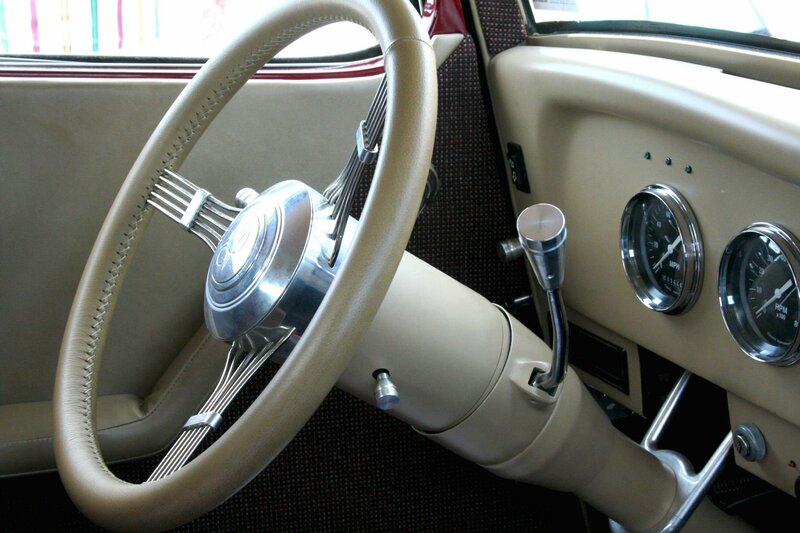 To answer these questions Cattalini urges the following: “Get a wooden dowel like a closet pole and to simulate the steering wheel, attach a pie plate to its upper end. 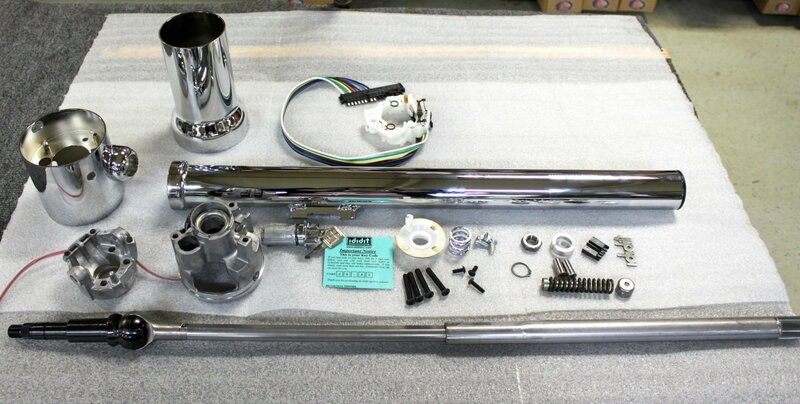 Move the mock steering assembly about until you achieve the optimum layout. Then use a piece of 3/4in tape to hold it in place.” While the tape acts as your temporary drop link you can measure your column length, remembering to add 2 inches to the bottom. As a general rule steering columns protrude approximately 2 inches through the firewall. 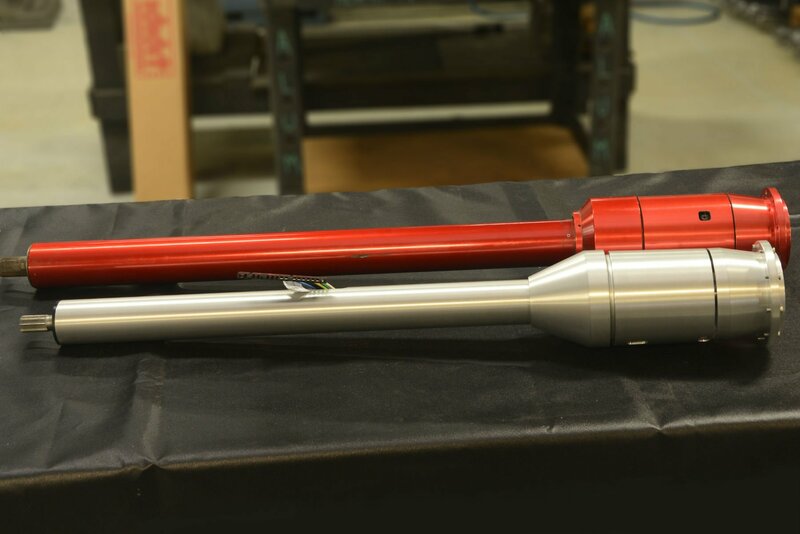 The tilt arrangement incorporates two aluminum castings and two shafts, an upper and a lower, both with forked ends. The ends are positioned 90-degrees apart and the assembly is completed with a grooved metal ball that is manufactured in two halves. Apart from the cockpit space into which the column is installed the associated components most likely to be discussed are floor or column shift, self-cancelling turn signals and four-way emergency flashers with attendant wiring harness, a sleek, retro look and most of all the option of a steering wheel tilt mechanism. In 1986, the principal criticism among street rodders was usually the awkward positioning of the steering wheel. 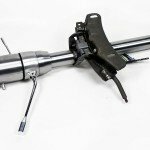 Rarely conducive to comfortable driving, it was this inconvenience that put the Michigan steering specialists, ididit, in business. 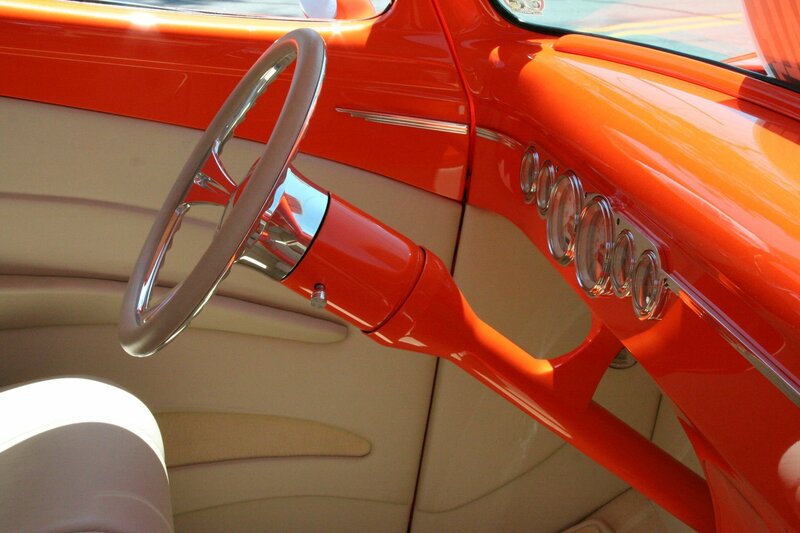 Established with street rods as their customer base, their solution was the adoption of a multi-angle tilt arrangement, which spawned a succession of variations—from five angles to eight. In correcting the difficulty, the tilt mechanism exhibits a steering-wheel travel of 35 degrees—arcing through fifteen degrees of movement above center and 20 degrees below. 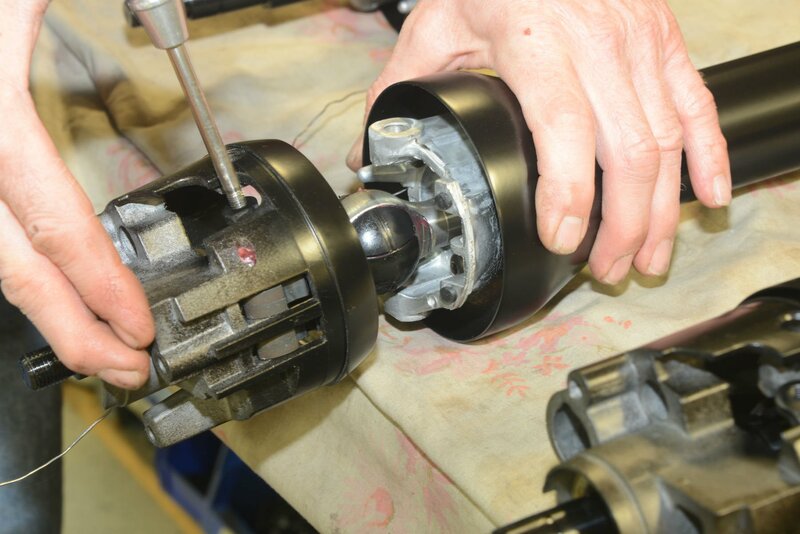 Over time the three original steering column bearings, two at the top and one at the bottom, succumb to wear. 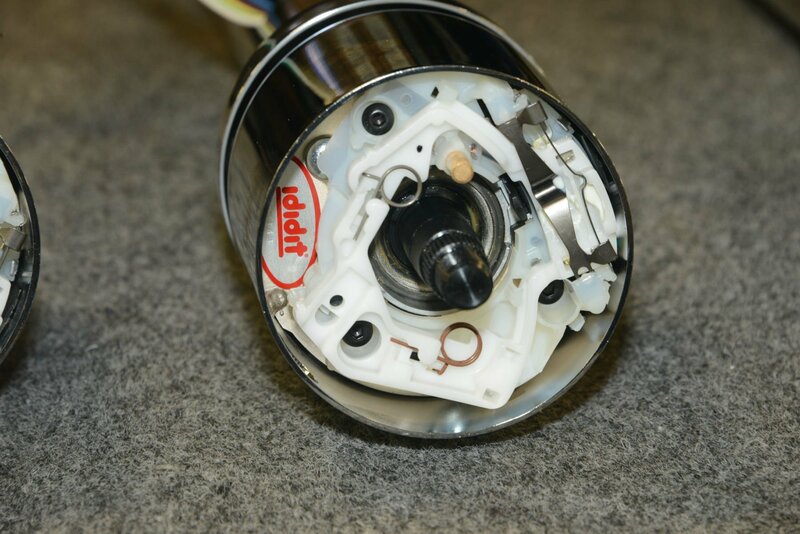 Ididit’s column replaces the top two but substitutes a Delrin bushing with a Teflon™ impregnated O-ring at the lower end. It lives longer. 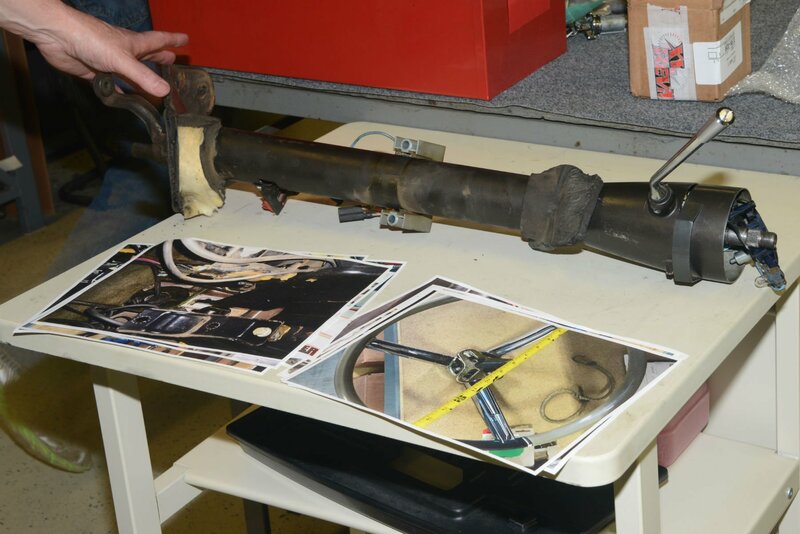 In the construction of custom columns, this manufacturer, who produces 50 special columns each week, requests access to the original column and photographs of it in situ, how it attached to the dash and also its proximity to the pedals. 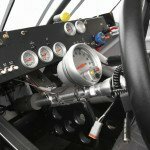 One final point to remember on the selection of a tilt column: the steering wheel. If you convert to a 9-bolt steering wheel you will probably require an adapter, which adds a further 2 inches to the column’s overall length and more if the wheel design is altered from flat to dished. 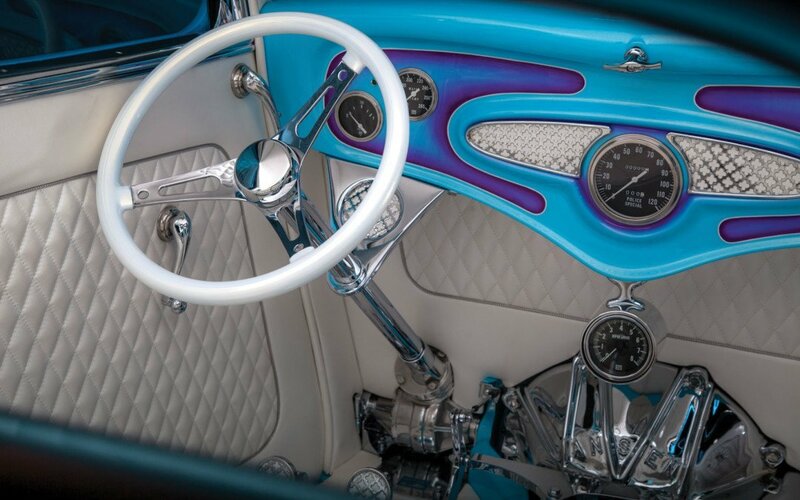 For each one-off custom assembly, ididit requests photographs of the original steering column arrangement in situ and how the entire mechanism was attached to the dash and also its proximity to the pedals. They also request as many relevant measurements as possible and, importantly, access to the original column. It’s an exercise in bewilderment reduction! The column reflects Ididit’s ample tool kit: beautifully tapered cone that flows from the column up to the tilt head. 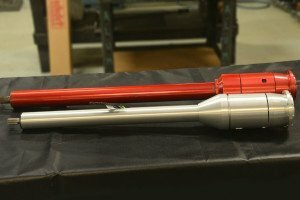 Beyond in red aluminum lies their original shaft from 1986. Avoiding confusion always reminds me of the First World War story where a British brigade major sent a verbal message down the trenches to his headquarters. The message began as “Send up reinforcements, we are going to advance.” But as the message traveled by word of mouth it eventually reached headquarters as “Send up three-and-four-pence, we are going to a dance.” Vivid photographic detail and accurate measurements are best. 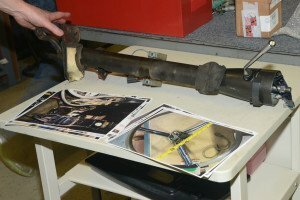 It’s no surprise that well-used steering columns from a previous era are replaced every day. However, wear is rarely apparent in the steering column’s capacity to turn the wheels—rather it is demonstrated by looseness in up-and-down movement and also back-and-forth within the column. Worn bearings are usually the culprits. And, original tilt mechanisms located at the top of the column also suffer from wear. The turn signals are cancelled by one of two cam lobes, which are positioned about 1/2in apart. 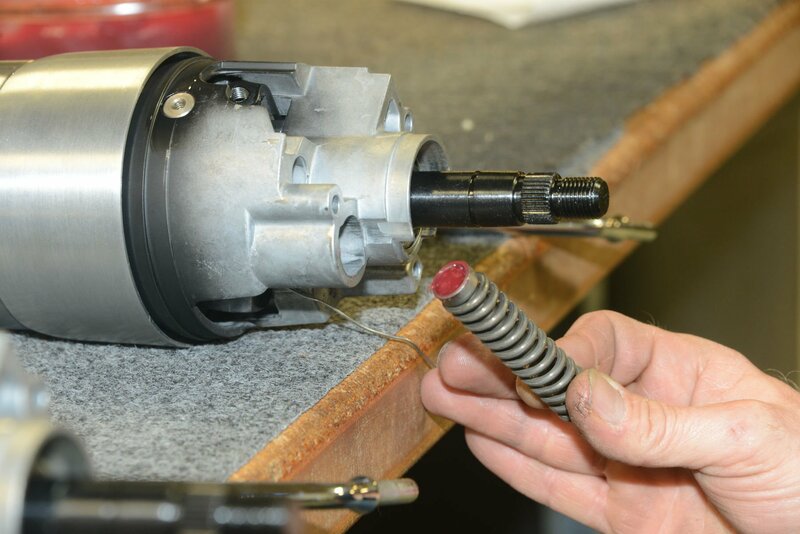 They make contact with the canceling springs—which act as the turn-signal switch—and as a lobe rolls past a spring, the turn signal function is cancelled. 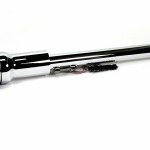 Most shafts are constructed from 1in thick-wall DOM 1010 tubing and terminate in either a splined end or the more prevalent formed-end known as a “Double D”. 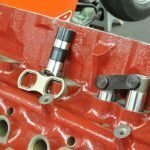 Naturally, these ends connect the column to a steering box or rack and pinion. The most popular splined lower end is 1in x 48 splines although 3/4in is a further option. Similarly the Double D ends are also available in 1in or 3/4in. The turn signals and their attendant cancelling mechanism are usually of GM passenger car origins. 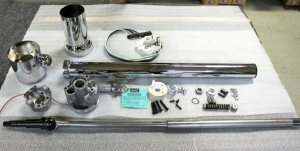 It’s a popular design with known superiority used on steering columns of 1969 through ’94 models and, according to ididit, they are versatile and reliable. However, if this infidelity incurs the displeasure of the discerning Ford owner, this manufacturer will accommodate with an appropriate mechanism from the Blue Oval stable, where possible. Located in Tecumseh, Michigan, about forty miles southwest of Detroit Metropolitan Airport, ididit, architects of the aftermarket steering column, is currently celebrating its 30th year in the design and production of both off-the-shelf and custom units. Finished to your own exquisite taste, from the gaudy to the delightfully subtle! To succeed in custom designs an efficient team armed with specialist knowledge and swiftness is the prerequisite. The most telling example of any custom project is always best illustrated by its momentum—its completion time and its cost. Ididit’s one-off custom units take around a month to produce. Some racers don’t know about better steering feel!